The Leo Eclipse lights our way us into the heart space where we find our authentic selves and like a miracle we also find everyone else. With compassion and acceptance we enter the miracle zone in our heart. As the Sun enters Aquarius we are reminded that we can achieve more by joining forces with like-minded souls. The Leo eclipse reminds us that to feel like we belong to a group/community, we must first fully believe in and belong to ourselves. When we can stand alone in our own integrity and authenticity and not feel alone, we can truly belong to a larger community where together we carry each other in our hearts. Leo is the soloist. Aquarius is the orchestra. We are each the star performer in our own lives. The orchestra is our supportive community, in which each person plays a vital supporting role for everyone else’s solo performance. Leo represents the journey of opening our hearts and expressing the light of our soul. Ruled by the Sun, our quest is to live from our core truth, which requires the capacity to love and the will to follow our own path. When I am faced with a choice, I ask — When I die which choice will compute satisfaction? Will I be at peace with my life? I feel the answer in my heart. The Aquarius Water-Bearer stands for our baptism into the collective heart. The problem that we face is that there has to be enough participants to create the collective heart consciousness. It the story of the 100th monkey. It is beginning to feel like there is a big reunion of a lot of monkeys who have been adding their heart energy to create this special moment in history, where we join in our common community as members of the human race. In our collective heart space, each one of us feels free to be our authentic and unique individual self. This is a most fundamental aspect of the freedom that we have been searching for. Capricorn teaches about another aspect of freedom — taking responsibility for our own lives and how we live. We have to release being a victim or a victimizer. We have to be a free agent instead of a sheep. We have to be for something, not just against, something. Entering and living in the miracle zone is an exciting challenge because it is an inner journey. The Leo Lunar Eclipse speeds up our journey. Lunar Eclipses are extra powerful full moons, when the flow of electromagnetic energy to the Earth is interrupted, enabling a reconfiguration of consciousness. As the Sun, Moon, and Earth align, the coherent and laser-like download of cosmic energy impacts the magnetic field of the Earth and penetrates every part of our being. During a lunar eclipse, the right brain, intuitive, creative aspects of our being are more available. The reflected light from the Sun does not interfere with its rational, logical left brain thinking. During a lunar eclipse, we are drawn within and our unconscious is awakened. We become aware of the motivations and fears that have been hidden in our subconscious. The pot gets stirred up so we can see things from a different perspective. Our hopes and dreams that were also hiding now become accessible. This opens our hearts to ourselves and our destiny path. Eclipses, like other planetary occurrences, are not short-term events. It is great to be present during the time of the eclipses, either by viewing if possible or meditating. But no one misses out. The energies of an eclipse begins to work on our psyche a week or more before the actual event and the effects continue as permanent shifts in our consciousness. I have noticed a unprecedented flourish of heart openings for over a week now. How about you? Several other planetary alignments add their messages to this lunar eclipse. Uranus, the planet most associated with Aquarius, closely squares this lunar eclipse as well as the Lunar Nodes, reminding us to be open to new ways of thinking and supporting inventive approaches to problem solving. Venus and Jupiter joined together in Sagittarius square Neptune, encouraging a compassionate and generous attitude. As the doors of perception widen, it will be easier to see clearly and to avoid over indulgence and escapism, if we choose. Mars in Aries, square Mercury and the South Node in Capricorn, encourages us to break free from old ‘shoulds’. Saturn reminds us to have a doable action plan. One of the big messages of this eclipse is to check our motivations. Are we coming from love or fear? Who is directing, our heart or our head? 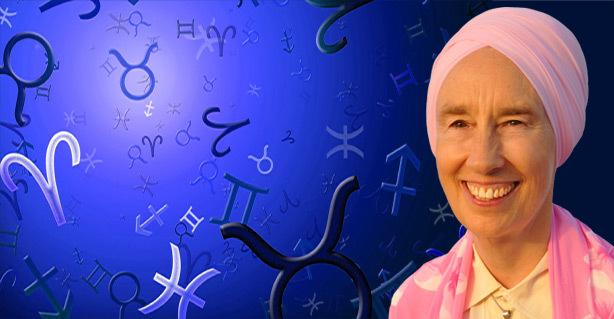 Be sure to get a heart-felt reality check around February 1, when Mars squares Pluto. Avoid impatiently jumping to conclusions. The new moon solar eclipse at 16º Capricorn on January 5 seeded a new cycle. This full moon/lunar eclipse enables us to envisage our next step, and what we need to release to be more creative and courageous as we move forward. Leo and the heart chakra are about connecting to ourselves and to each other. A big problem is that we are not connecting. Here are a few things to examine. First, if we are disconnected from ourselves, there is no place to receive connection. If we are filled with a cesspool of self-criticism, guilt and shame, our hearts will close, and we will protect ourselves by being emotionally numb. Second, we repel connection, if when we reach out, we are trying to satisfy a neurotic need to get attention, to feel validated, or to feel safe. Third, if we reach out in an unsatisfying way, we can’t be satisfied. We can’t be satisfied, because we aren’t satisfied within ourselves. We are needy and insatiable. How can we get enough if we can’t receive? If we look at how we communicate, we can identify why others might respond with resistance. 1. Most people are very sensitive to feeling controlled. If we are trying to convince or proselytize, our communication comes off as bossy, imposing, and telling others what to do. It is easier to be open and willing to receive stories about what worked for us and letting others find out what works for them. Notice if you are attached to positive feedback. Monitor reactions and back off if you feel resistance. 2. Some people take ‘good advise’ as criticism and judgment. There is a deep seated program of ‘I am not good enough.’ Humor can help. There is a pathway and it is in through the heart. In the heart there is no resistance. We enter with kindness, non-judgment, and compassion. One man shared with me how talking with others who were challenged with the same addiction (opioids) was the catalyst for the connection, love, and support that they never received when growing up. It was a bonding opportunity that had magical heart opening results. He is learning that we can ask for help. And we can respond to those who are asking us for help. Actually, we are all asking for help in one way or another. When we recognize this truth, we find a new way of living life from the heart. Be honest with yourself. You don’t need to justify yourself to others. Set your own standards and criteria. Find your own formula. In terms of physical possessions, here are some ideas. Keep what makes you feel good. We live in physical reality and it is a good idea to enjoy it while we are here. Deprivation is not a good idea. But be selective, identify and avoid excess, and enjoy what you have. Without being burdened by too much, we have the space to enjoy what we have. Yogi Bhajan always told us, ‘It is your birthright to be happy.’ Inner happiness is always available. It is a state of being at peace and feeling deep satisfaction with ourselves and our life. It is our job to uncover, recognize, and accept this birthright. Sit in Easy Pose. Bend ring and little fingers, pressing them down with the thumbs, keeping index and middle fingers straight, palms forward. Elbows are pressed back and a 30° angle is made between the upper arms and forearms, the forearms parallel to each other (Mahan Gyan Mudra). “Sa” — Infinity; “Ta” — Life, existence; “Na” — Death; “Ma” — Rebirth, light, regeneration. The whole mantra means “I am truth.” Make sure the elbows are pressed back and the chest is out. Continue for 11 minutes, then inhale deeply, exhale, open and close the fists several times, and relax. Comments: Historically, this is an outstanding kriya. It is said that it was practiced by both Buddha and Christ. The great brahman who taught Buddha this kriya found him in a nearly starved, unhappy condition. Buddha was unable to walk after his 40-day fast under the fig tree. He began eating slowly and that great brahman fed him and massaged him. When Buddha finally began to smile again, the brahman gave him this (one) kriya to practice. Jesus learned this in his travels, too. It was the first of many that he practiced. If you love a man as great as he, it is important to practice what he practiced in order to earn his state of consciousness. 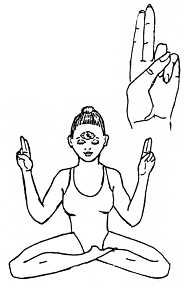 You have probably seen this mudra in paintings and statues. 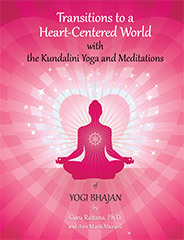 It is a gesture and exercise of happiness, and it opens the flow of energy to the heart center. You needn’t worry about learning this kriya to be a Buddha or a Jesus — just learn it to be yourself! Be a little selfish for your higher consciousness. Master the technique and experience the state it brings. Then share it by creating beauty and peace around you. Collis, Diana McMahon, Leo Lunar Eclipse — January 20-21, The Mountain Astrologer, December 2018/January 2019, p. 97. “This eclipse will be visible in North and South America, Europe, northern and western Africa, and the Arctic regions. Totality will last 62 minutes, with a partial eclipse for about an hour before and after totality, making this lunar eclipse 3 hours 20 minutes long. While in the Earth’s shadow, the Moon appears a coppery, red color, as the Earth’s atmosphere refracts the sun’s longer wavelengths, similar to what happens at sunrise and sunset. It is well worth the effort to watch the Moon travel through the Earth’s shadow as it morphs from full to new to full again in a few hours. If cloudy weather or other constraints interfere, then being in meditation also facilitates receiving the eclipse download, especially around its peak at 9:12 PM PST. On the west coast of the US, the partial umbral eclipse begins at 7:34 PM, with totality from 8:41 PM to 9:43 PM, and the Moon moving out of the Earth’s shadow at 10:51 PM PST. For more information on the astronomy of this eclipse and other time zones .